Today, I will be giving you the tutorial on how I made those brushes that can be seen in my last story. So, let’s get into it. 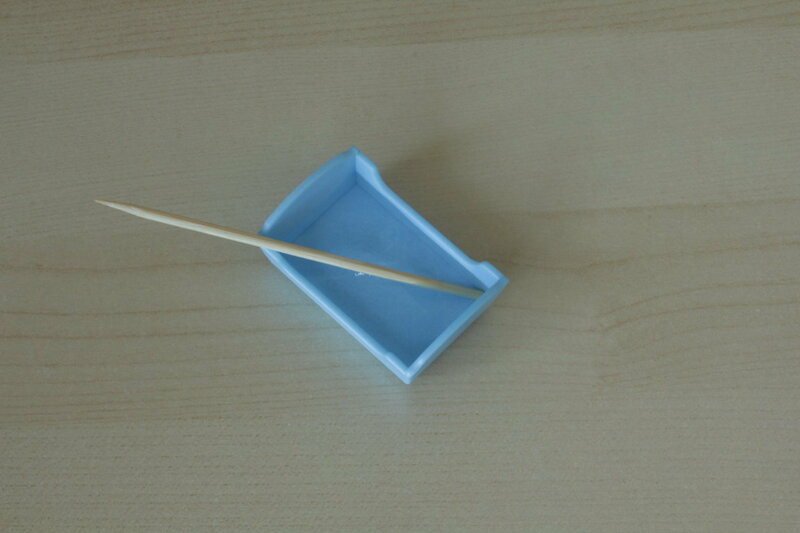 First of all, cut off the tip of one side of your skewer and then set this side in a small container of water for around 30 minutes to 1 hour. This should give the wood enough time to soften. 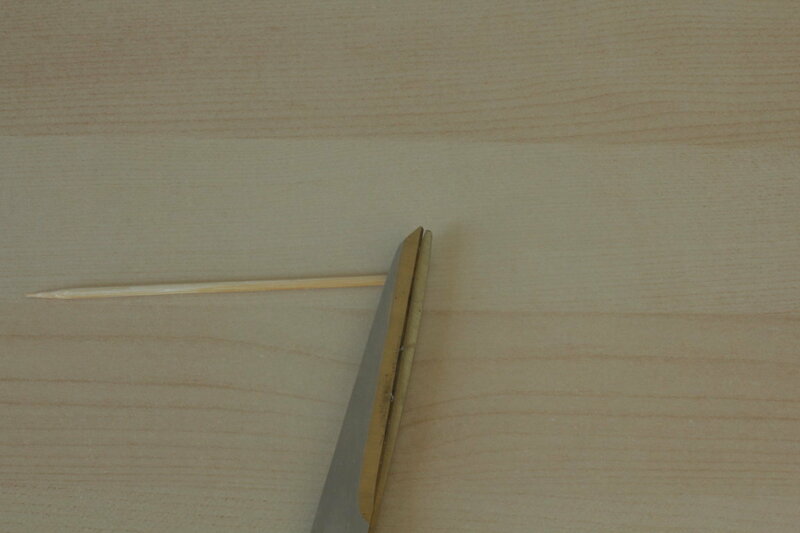 Then use the end of your scissors to flatten the last 5mm of the now wet side of the skewer. Make small cuts into the end of the skewer where you have flattened it. This should me more or less an easy task but if the wood is still too hard to cut properly, let it sit in the water for a little while longer. Continue making small cuts until you are happy with how ‘bristly’ and worn the end of the skewer looks. 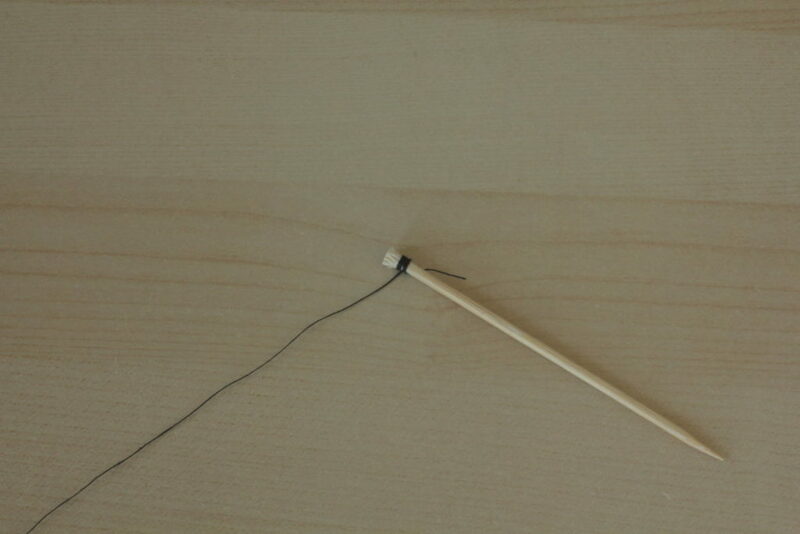 Wind the thread tightly around where your cuts stop and then coat this with the PVA glue. Once dry, cut off the extra thread and cut the skewer to finish your paintbrush, you could sand the end to make it smooth if you would like. 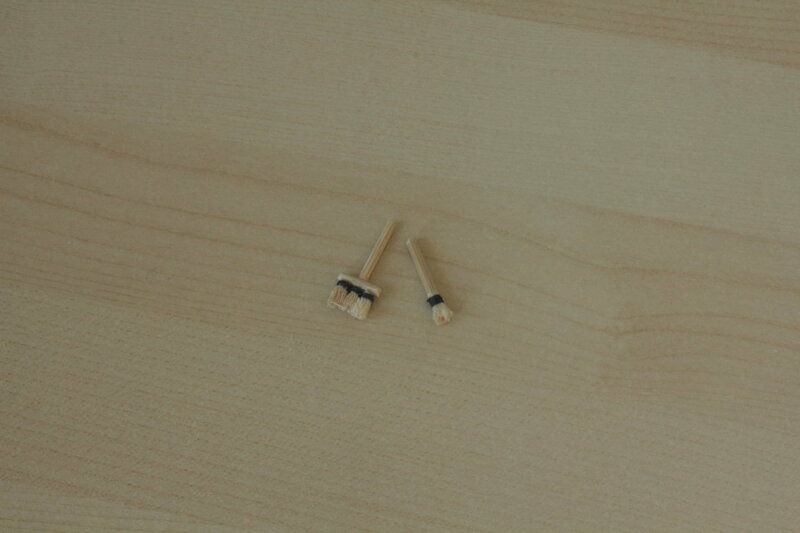 You could also try to make a paintbrush like the one in the left of the photo by gluing a skewer into a small ‘T’ shape and then gluing three bristle bits on the end. Hi everyone! School started two weeks ago, sadly. Anyway, I hope that you have all enjoyed the tutorial and I would love to see some photos if any of you decide to make your own paintbrushes. ← The Daily Dandelion: Buckley House Renovation: A Start! What a fantastic idea, Emily! 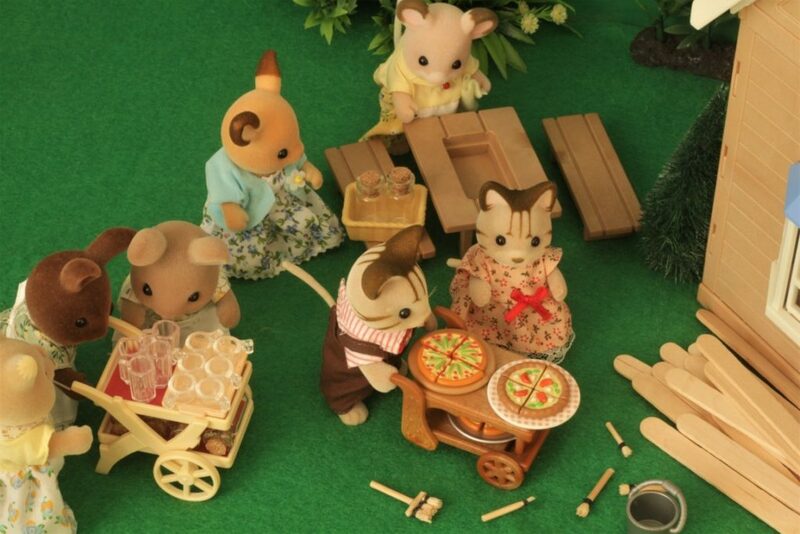 Mr Rivertail (Macadamia Grove’s builder) is very interested in these – we might have to make him some! I am sure they will come in handy! Thanks for the tutorial! Your paintbrushes look great and easy to make. Thanks for sharing! The first picture must belong to a previous story to this post. I will readit tomorrow. It´s quite late right now. Looking forward to seeing how the house renovation is going. Hi Cutata, thank you for your kind words!